Home Episodes DiLascia Review & Update. 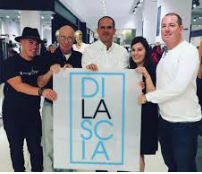 In this episode of the profit, Marcus visits DiLascia. A company based in Los Angeles, CA and run by Patrick Dilascia. We are currently compiling this DiLascia episode review and will be uploading it soonest. Marcus Offers Patrick Dilascia This Deal. Don’t forget to leave your fan comments here below and your thoughts on the DiLascia episode. We really do rely on your comments for updates and information, so please share them with us. Your spirit is kind, giving and compassionate. Just avoid the medical marijuana. Too many other businesses to invest in. previous post: Honest Foods Catering Review & Update.